The impression you make in the first 60 seconds of an interview could make or break your chances of advancing to the next stage. 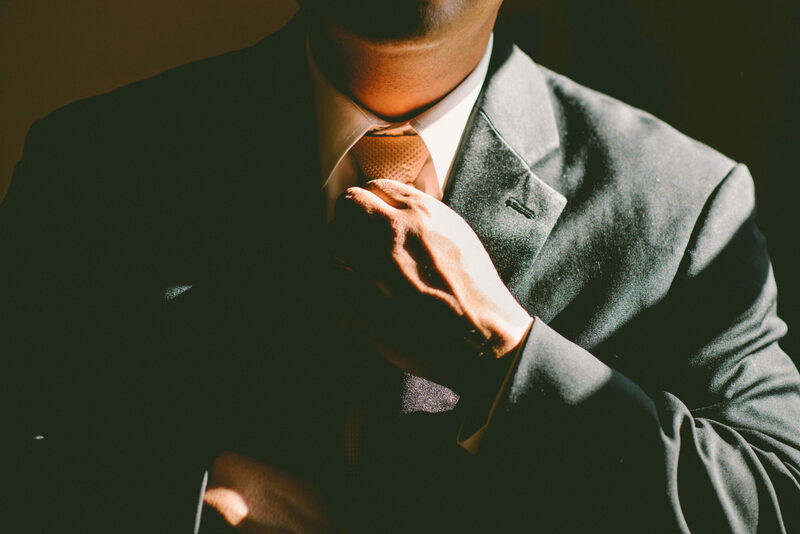 Interview preparation is key and to help you make that right impression we have compiled some tips and guidelines below. It can not be overstated that thorough preparation before an interview will greatly increase your chances of selection. You have already proven your suitability on paper and now it is time to do the same face to face. Your recruiter has done his / her job and the employer is obviously interested in you since you were invited for a personal interview. Now you have to impress upon your potential employer that you are the best person for the role! Location: Do you know the exact time and place of the interview? Plan to arrive fifteen minutes early in case of traffic problems or other unanticipated delays. If possible you should travel the route the day before to avoid confusion on the day of the interview. Especially if the interview is in an area you’re not familiar with. We are one of the recruitment agencies in Dublin City Centre so most people can easily find us but if you’re new to the country, that could be a different story. Late arrival for a job interview is never excusable. Who are you meeting with: Do know the interviewer’s full name and title? Role: Do carefully read, and fully understand, the job description and requirements of the position for which you are interviewing. If you have any doubts contact your Bond Personnel consultant. Gather information about the company – visit the company’s website in order to gain a better understanding of the company. Situation – describe a specific situation you were in e.g. in your previous job. Task / problem – explain what task or issues confronted you. Action – describe a specific action you took. Result – explain the result of your action, positive client reaction or accomplishment. CV: Know your CV well. Bring 2 copies of your CV. One for you and one for the interviewer (interviewers are often busy and may misplace a CV on occasion). Questions for the Interviewer: Always prepare intelligent questions to ask in advance. This demonstrates your interest in the company and the position. Do not ask questions that are irrelevant or obvious. At each interview you will be asked questions related to your previous experience, training, academic education & qualifications. You will be asked about career goals and other topics that assess your personality. Below you will find some typical interview questions which you might expect. There will also be a different set of questions specifically related to a role / industry. e.g. question for a sales position will be focused on your sales skills, targets, how you face clients etc. Your Bond Personnel consultant will always provide guidance and make sure that you are fully prepared for the interview. Purpose: The Employer wants to get to know you and how you feel about yourself. What are your ambitions and general attitude towards your career. This should also help to put you at ease, and enable the remainder of the interview to continue smoothly. Suggestions: Be able to introduce and talk about yourself. Emphasize your previous experiences, education and training. Highlight your personal skills and characteristics. Purpose: This gives the Employer a chance to find out what you know and like about the company and whether you would stay if you were hired. They want to see if your qualifications and work experience fit their requirements, approach and company culture. It will also tell them if you are genuinely interested in contributing to the company or only the security, benefits and prestige they may offer. Suggestions: Visit the company’s website and check recent media articles. Make sure you review the company, their market position, their reputation in the market, what services / products they provide, their history, mission and values. This is crucial. It can also be helpful if you look at some of their competitors to see what the market is like and how they operate in relation to their competition. Purpose: This will tell them about your attitude or experience of pressure and your ability to deal with it. Suggestions: Give job-related examples from your past experience showing your ability to cope with pressure. Describe what you consider normal pressures for the type of work you will be doing. Purpose: The Employer is looking for reasons for hiring you. They want to find out how well you know yourself, if you believe in yourself and if you are the right person for the position. Suggestions: Prepare strengths that reflect on your job. Mention that besides the work skills, training and experience that you would offer, you also posses job-related qualities such as flexibility, efficiency, enthusiasm, dependability and reliability. A willingness to continually up-skill and learn new technologies is always a good thing. If time permits, back up these qualities with examples. Purpose: This is where the Employer tries to discover if you are unsuitable for the job. This may be due to a lack of experience or training, poor people skills or attitude, laziness, indecisiveness, not being a team player etc. Suggestions: This is a tricky one! You can describe a weakness which is considered as a professional strength. (e.g. I find it hard to say no to people – this is potentially good for your co-workers!) You could mention a weakness which is not related to the position or a weakness you are taking measures to improve. (e.g. I felt I needed to improve my programming skills which is why I am currently undertaking a course). Purpose: This will tell the Employer if you can judge and handle real life working situations. They may want to see if you are aware of the company’s policies. It will help them assess your interpersonal skills, your command, leadership and decisiveness qualities. Suggestions: Mention your commitment to follow up company guidelines and to consult your manager / boss where appropriate. Describe a time when you successfully dealt with a suitable situation. Describe experiences, skills and attributes that you feel would be of appropriate value. First impression is important! Always give a firm handshake to all interviewers and make eye contact (but don’t stare). Wait to be invited to sit down. Be relaxed but make sure not to slouch or fold your arms. Make sure that your mobile phone is switched off. Show your enthusiasm for this particular job. Be positive about your abilities and what you feel you can bring to the company and the role. Speak calmly and do not rush your answers. Provide practical examples from your past of how you demonstrate / demonstrated skills that are described in the job description. Keep your answers relevant to the job. Always prepare at least 2 questions for interviewers. Always thank your interviewers for their time and let them know you are very interested in the job. Don’t over-answer questions, keep it relevant. Do not answer with just Yes or No, explain your answers where possible and provide examples. Don’t talk negatively about your present of previous employers, supervisors or colleagues. Don’t ask about salary and benefits! You will receive this information from a Bond Personnel consultant. Follow-up! If you have been to the interview through a recruitment agency it is important to follow up afterwards. You should contact them as soon as possible, whether or not you felt your interview was successful. It will be of most benefit to you and the consultant for a multitude of reasons. This reaffirms your interest in the job and will enable the consultant to plan his / her next conversation with your potential employer. This will also help him / her gain valuable feedback from the potential employer to pass onto you the candidate. When you are called back for a second interview, do not be afraid to repeat a winning formula again. It is likely you will meet different people so do not think you have to come up with completely new tactics. Even if some of the individuals are the same do not take it for granted that they will get bored. This is an additional opportunity for you to reaffirm your suitability and strengthen their conviction that you are indeed the most suitable candidate for the job. However, the same rule as for the first interview applies: thorough preparation is a key!